Consider this your introductory guide to choosing the right cryptocurrency exchange! Selecting a cryptocurrency exchange in 2019 to purchase BTC, ETH, and other cryptos can be a daunting and overwhelming process. After all, there are over 200 cryptocurrency exchanges in today’s market, with 24-hour trade volume in the billions. In 2018, over 1 Billion USD was stolen from exchanges. It is a shocking number, and it partly resulted in the huge drop that Bitcoin experienced during the year. 2019 is shaping up to be no different, even though exchange security has improved significantly since the early days of the Mt. Gox hack. The crypto industry this year has already had to deal with Cryptopia’s hack in January 2019 and the baffling Quadriga “scam” where its young CEO died and allegedly took the private keys of over $250 million with him to the grave. Like the saying goes, a fool and his crypto is soon parted. There are numerous factors and features to take into account when choosing a cryptocurrency exchange. Most novice users and investors are in the dark on just how to start trading and purchasing cryptos online. Therefore, it’s critical for both new and seasoned investors to ask questions before they proceed. A very good start is to look at the big 5 “W”‘s and one “H” . Why do I need a crypto exchange? What should I look for in a good exchange? Where is my crypto exchange based? Who am I dealing with? Are my dealings visible and is it authorized by my government? In our guide, we’ll address these questions and more. The days of anonymity is coming to an end for people using exchanges. In this comprehensive post, we’re going to walk you through how to choose the best cryptocurrency exchange, core factors and features to consider, and three exchanges out there right now that we like. When investing in cryptocurrencies, we strongly recommend going that extra step. You should consider buying a hardware wallet to protect and store your BTC, ETH, and other altcoins. Generally, the rule of thumb is that you should start moving your cryptos to cold storage and hardware wallets once you’ve accumulated more than one (1) month’s salary – or, when you’ve accumulated an amount you aren’t comfortable losing to a malicious hack, phishing scam, or other breaches. So, where should you start when choosing a cryptocurrency trading exchange? Both sites will are great starting points for those just starting out with purchasing and trading cryptos. However, keep in mind, they generally only support the core projects at the very top of all market capitalizations in blockchain (ex. BTC, ETH, BCH, LTC). From there, you may be looking to dive into altcoins a bit further and invest in ERC20 tokens or less popular projects. Now, the decisions become tougher and the process becomes a bit more overwhelming. It’s important to understand the below five factors are just several things you should consider. It is not an all-encompassing list. Furthermore, cryptocurrency exchanges should be used for trading and purchasing, not for storage. So, once you’ve acquired a healthy stack of your favorite trading pair or altcoin, it’s time to start considering using an online or hardware wallet. Always make sure to do your due diligence before choosing a cryptocurrency exchange or project. Look into the exchange’s past history, whether it has been subject to any past malicious attacks or phishing scams, engage with the community, and take a look at their list of tokens they support. While this may seem like common sense, avoid signing up for exchanges which have a known history of financial and security breaches, and who have disabled withdrawals for long periods of time. At the very core of a user’s cryptocurrency exchange experience and usage are their geographic location and any restrictions which are placed on them. The majority of cryptocurrency exchanges have a limited geographical scope of persons who they cater to. Think about it – what good does it do signing up for an exchange if you can’t even legally trade on it or access it? So, make sure before signing up for a crypto exchange that it is accessible from your country (and legal). As crypto and blockchain are still up in the air in regards to legislation and other policies, there’s a possible chance your country has cracked down on your ability to access and use an exchange. Are crypto exchanges legal in my country? The country’s respective laws and regulations on blockchain and crypto. For example, Binance – the largest cryptocurrency exchange by volume in the world – is open to all countries, except those on economic and trade sanctions lists (ex. Syria, Iran, and North Korea). And, while the U.S. has been refining and carving out its respective cryptocurrency and blockchain laws over the years, some exchanges are still hesitant to accept U.S. customers and users. There is groundbreaking work being done in the US by the likes of Bakkt (funded and managed by the owners of Nasdaq), but the big investors are still waiting for the SEC to bring in more crypto-friendly regulation. Finally, as cryptocurrency is an extremely volatile and new industry, there are many kinks to work out. It’s not unheard of for crypto exchanges to unjustly withhold or confiscate one’s funds altogether, so we strongly recommend choosing an exchange which is based in a jurisdiction you have some familiarity with or may seek legal recourse in. Depositing BTC, ETH, or other altcoins onto an exchange located in a highly politicized or anti-crypto country probably isn’t the smartest idea and could potentially cause more headache and strife in the future than its worth. Curious to learn more about Bitcoin, Ethereum, Litecoin, Bitcoin Cash, and Ripple (yes! The CoolWallet S supports all five, along with ERC20 tokens), head on over to our cryptocurrency blog to check out our comprehensive, educational blockchain guides. We tackle everything from the history behind each pro]where to buy it, all the way to how to store it safely. A large volume of trading is usually a good indicator of a crypto exchange’s liquidity and overall ability to fill a user’s order at any point of the day – no matter how big or how small it is. Based on the type of trading you’re looking to do, liquidity is an extremely important factor. It is at the very heart of your ability to even purchase or sell cryptos at all. For example, if you’re looking to trade with one of the core trading pairs out there (BTC and ETH), then your best bet is to sign up for a major centralized exchange – as the ability of a large, centralized exchange is unparalleled in today’s market. Not only are centralized exchanges extremely liquid, but they are also fast as well, and users are often able to fill their orders within a matter of seconds. However, if you’re looking to purchase and trade smaller coins, like less popular ERC20 tokens, then you’ll likely need to turn to a smaller exchange or decentralized exchange. Not all projects are able to afford the often exorbitant listing fees charged by centralized exchanges, so they generally opt to list on smaller ones instead. If you’re looking for some of the most reputable decentralized exchanges to trade altcoins and other ERC20 tokens on, we strongly recommend checking out IDEX.market or Crypto-Bridge.org. Going hand in hand with larger volume and liquidity is often a cryptocurrency exchange’s reputation and support, which we’ve addressed above. Think about it, if an exchange is having to handle hundreds of millions of dollars in volume per day, they likely have the required support mechanisms and infrastructure to support it. Curious about what exactly ERC20 tokens are? Look no further. ERC20 tokens (standing for ‘Ethereum Request For Comment’) are simply tokens and projects which adhere to a specific technical standard as set forth by the Ethereum network. ERC20 tokens and their respective standard help ensure network uniformity and cohesiveness, ultimately enabling the Ethereum network to function more smoothly. Check out our guide to ERC20 tokens here. With losses and hacks totaling into the billions just this year alone, security should be at the top of your list when choosing a cryptocurrency exchange. While centralized exchanges do support higher volume and increased liquidity, that also makes them a ripe target for phishing scams and other hacks. After all, the reward stands to be gigantic, should a hacker gain access to one’s funds. Furthermore, they also have a wide array of options to choose from in order to liquidate or trade their newly acquired crypto. Decentralized exchanges emphasize security and anonymity. They allow users to sign up without revealing any personal information and generating a private recovery seed. Decentralized exchanges cut out the highly vulnerable and centralized middlemen associated with centralized exchanges. Instead, it connects users directly in order to place and fill orders. However, just remember that liquidity is not at its highest on DEXs, so make sure to weigh all factors carefully. Combine all three, and you can rest easy knowing you’ve taken the proper precautionary measures to prevent malicious actors from accessing your funds. Most major centralized exchanges require users to “verify” their accounts, by providing documentation and photographs to confirm their identity. If you’d like to trade on a largely centralized exchange without having to reveal highly personal information, look to see which exchanges allow the withdrawal of cryptos without account verification. Anonymous withdrawals are allowed only up to a very small amount. Note that when utilizing two-factor authentication for signing in on cryptocurrency exchanges, we strongly advise against using SMS as your 2FA. There have been several notable instances where hackers intercepted text messages or called a phone company directly to impersonate the account holder. Opt for Google Authenticator instead, as it generates time-sensitive codes, limiting the ultimate time period and window a hacker may actually access your account. Now, let’s turn to 3 reputable cryptocurrency exchanges to sign up for and get trading! Below are just three exchanges we’ve found to not only support a healthy list of tokens and projects, but who are accessible worldwide, have proven and tested security measures, and high trading volume and liquidity. It should be no surprise that as the largest cryptocurrency exchange in the world, Binance is also one of the most reputable and at the top of the list. Under the transparent guidance of its respected CEO , Changpeng Zhao, affectionally nicknamed “CZ”, the company is constantly innovating and improving their service. In February 2019, Binance launched their testnet for a Decentralized Exchange (DEX) which has the potential to completely disrupt the current business model of exchanges. Binance offers one of the most trusted and comprehensive trading platforms in the crypto-sphere today. It features a straightforward UI and plethora of altcoins which has been stringently investigated. In my view this is what the go-to exchange for most crypto users out there. Keep in mind that you can’t directly purchase cryptocurrencies with fiat on Binance, so you’ll first have to go through Coinbase or CEX.io in order to pick up some BTC or ETH. If you’re looking for a great guide on how to use Binance, check out this comprehensive article. 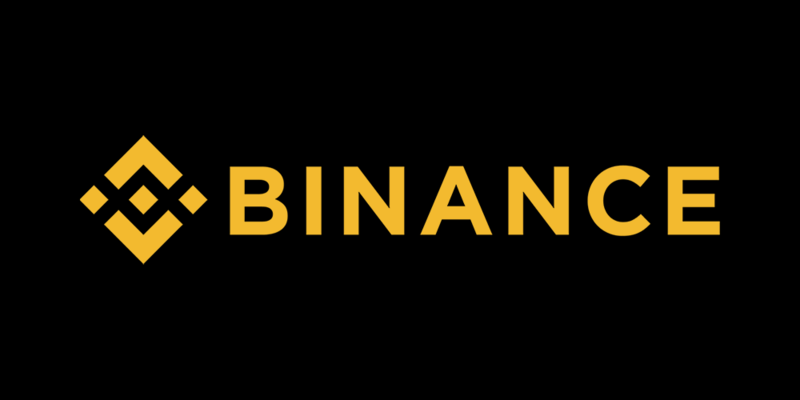 In late 2018, Binance has done away with the opaqueness surrounding cryptocurrency exchange listing fees and is making the process more transparent. Furthermore, they’ve decided to begin donating all coin and project listing fees to charity. If you’re looking for a cryptocurrency exchange is easy to trade on and actively tries to improve the crypto industry and make it a better place, Binance is the exchange for you. Like Coinbase and CEX.io, Changelly also allows the purchase of BTC with debit or credit card. It provides a transparent cryptocurrency exchange geared for literally anyone looking to invest in cryptocurrencies. Since its inception in 2013/2014, Changelly has garnered over 2 million users from across the world. There should be no surprise why, as their platform acts as a mediator between trading platforms, enabling users to seamlessly exchange digital assets and tokens. In 2018, Changelly announced a partnership with CoolWallet, who integrated their services in the company’s CoolBitX app (available on iOS/Android Stores). This allows CoolWallet users to now initiate a “seamless crypto-to-crypto exchange within the wallet interface.” At present, the transfer option supports BTC, LTC, ETH, XRP, BCH, and several ERC20 tokens. Mix in highly regarded customer service, and Changelly is surely an exchange to consider when deciding on a cryptocurrency exchange that is right for you. Last but not least is ShapeShift, a cryptocurrency exchange headquartered out of Switzerland, which is known not to collect personal user data. Additionally, Shapeshift has drawn praise from the crypto and blockchain community because they don’t actually collect a user’s personal funds and aggregates it into company accounts. Please note that ShapeShift users may not directly purchase BTC or ETH with fiat, and may only transfer from another platform or exchange. They do however support over 50 altcoins, ultimately providing an attractive option for users looking to diversify their portfolio. Consider ShapeShift if you’re looking for a smaller exchange that is seamlessly exchanges cryptocurrency and doesn’t collect and use big user data in their company accounts.